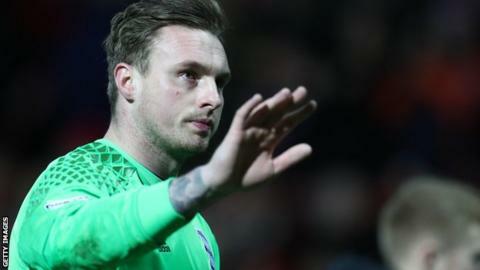 Birmingham City have loaned goalkeeper David Stockdale to Southend United on a rolling seven-day deal after receiving emergency dispensation to add cover. The Shrimpers are without the suspended Mark Oxley for three games, Ted Smith is out with a shoulder injury, with Nathan Bishop the only fit custodian. Stockdale, 32, joined Blues last year from Premier League side Brighton. "It's just fantastic for us to have a goalkeeper of David's calibre," said Southend boss Chris Powell.